Can you name these six Shakespearean heroines? You might be able to guess a few of them from the clues in their clothing (or because you saw one on a recent cover of Shakespeare Quarterly! ), but don’t feel bad if this was a bit of a stumper. 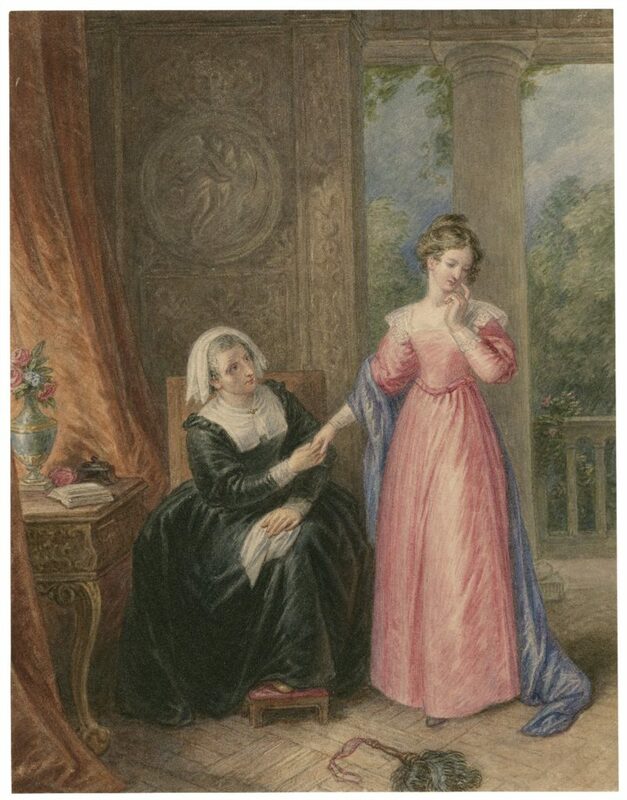 As lovely as these early 19th-century watercolors are, the characters they depict aren’t the ones people today might think of first when asked to name Shakespearean heroines! Top row, left to right: Helena, from All’s Well that Ends Well, Portia from Julius Caesar, and Margaret of Anjou from Henry VI part 1. 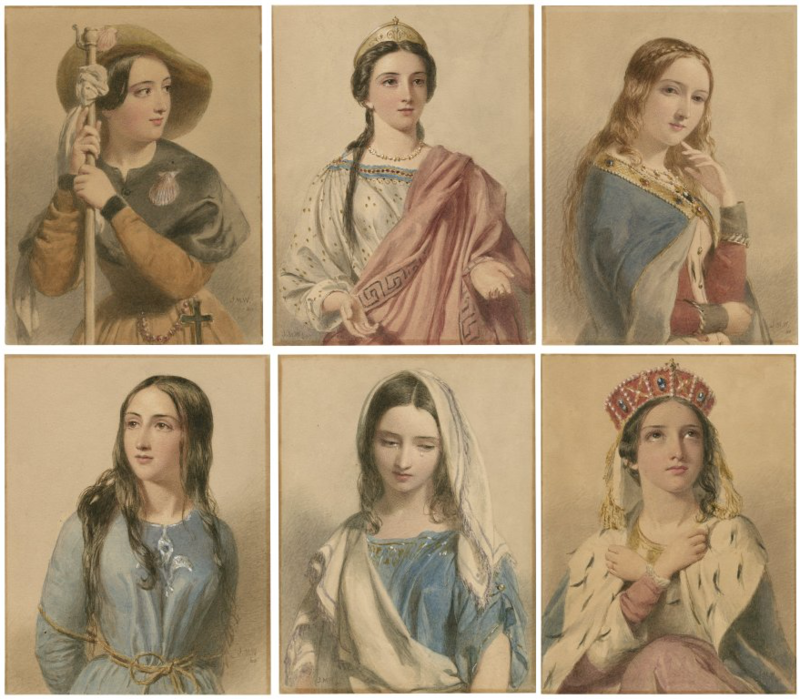 Bottom row, left to right: Joan of Arc, also from Henry VI part 1, Lavinia, from Titus Andronicus, and Constance, from King John. The biggest question is that of who drew them. Each of the six portraits has what looks like a set of initials and a date on them. Signature (?) and date (?) on the Margaret of Anjou portrait. Normally, having a dated set of initials would make identification easier, not harder. And when Henry Folger purchased these in 1924, they were sold to him as the work of early 19th-century British artist John Massey Wright—plausibly, our J.M.W. But there’s a problem with that identification. 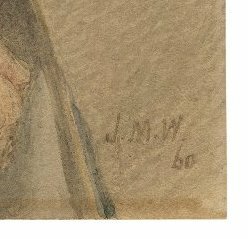 Namely, that these portraits don’t look much like the other watercolor drawing by John Massey Wright that we have in our collection! They’re pretty clearly different styles. But if John Massey Wright didn’t draw these, who did? 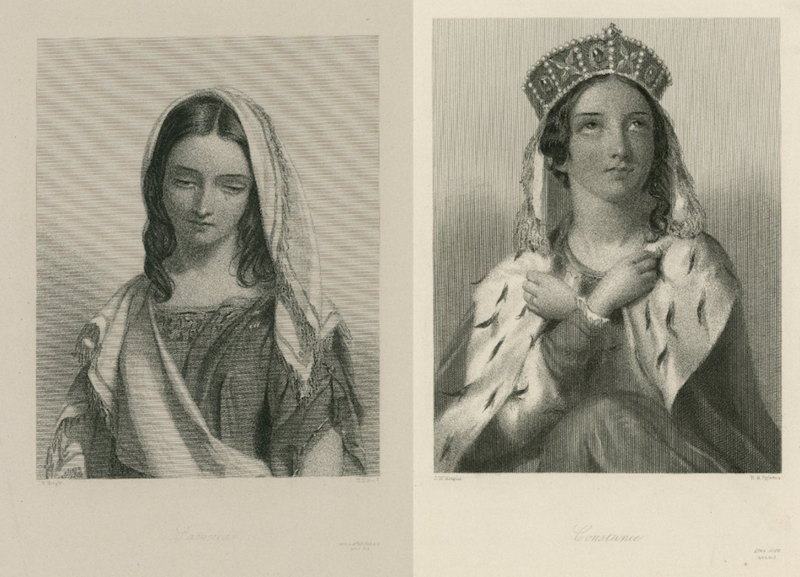 Our next clue comes from a set of engravings issued in 1848 for a series on… you guessed it, Shakesepeare’s Heroines. Look familiar, don’t they? 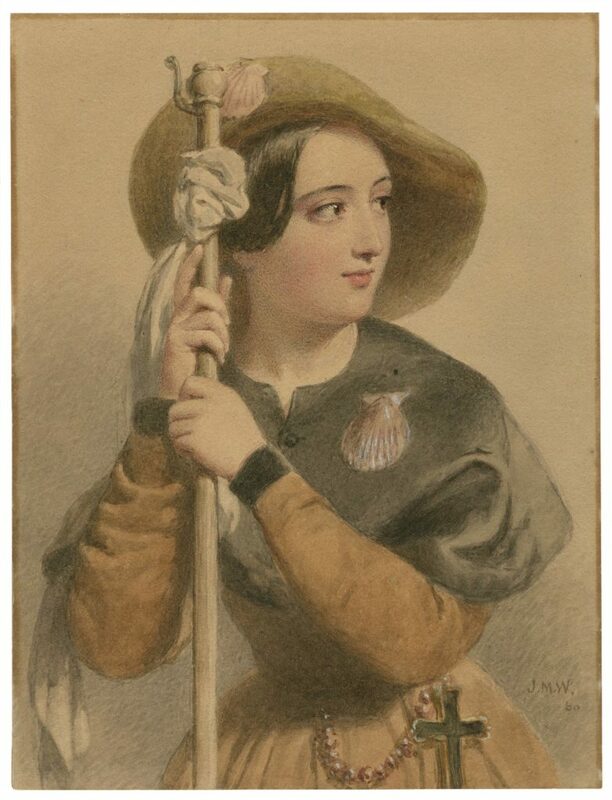 Clearly, these engraving and watercolors are related. And the engravings, at least, are clearly attributed. 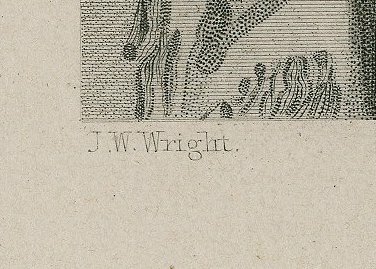 J. W. Wright. John William Wright, another early 19th-century British artist. Who, according to a number of bibliographical sources, is often confused with John Massey Wright. Abbie Weinberg is the Research and Reference Librarian at the Folger Shakespeare Library, and managing editor of The Collation. When she is not assisting others with their research, she can be found exploring book history, early modern use of classical texts, and the history of science. The watercolours are lovely, but don’t show differences of personality or character. So very difficult to ascribe a character.